The Chinese energy minister, Nur Bekri, was in Denmark over the weekend taking a first-hand look at the Danish energy system and its efforts at becoming more sustainable. 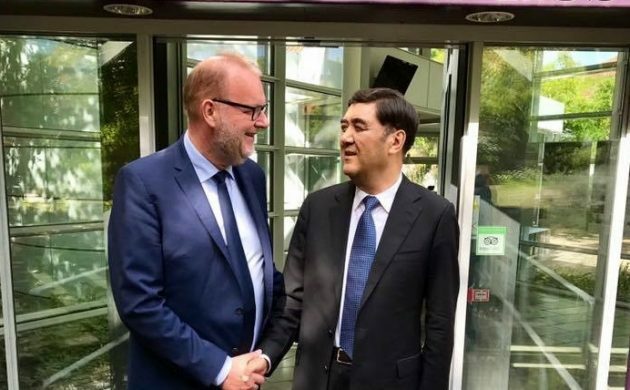 Nur Bekri, who is the first Chinese energy minister to ever visit Denmark, met with the energy and climate minister, Lars Christian Lilleholt, to garner information on the Danish approach to the green transition. “That Nur Bekri decided to come to Denmark is a big pat on the back,” said Lilleholt. One of China’s more pressing problems at the moment is that almost 20 percent of its wind energy isn’t being integrated into the energy system due to a lack of flexibility. Lilleholt and Bekri penned a Danish-Chinese co-operation agreement in early 2016 regarding the issue – which if solved could save China the equivalent of Denmark’s total annual CO2 emissions. “China is the world’s biggest emitter of CO2 and the key to solving global climate change rests there,” said Lilleholt. Conversely, Lilleholt also maintained that China remained a very interesting market for Danish energy companies and that a well-oiled relationship with the Chinese government could open many doors. In March, the Danish government presented an export strategy that aims to double energy tech exports to 140 billion kroner by 2030.